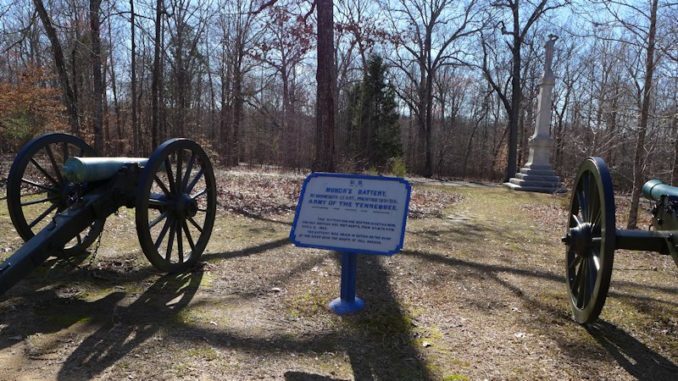 Munch's battery location during the seige of the Hornet's Nest on April 6th. 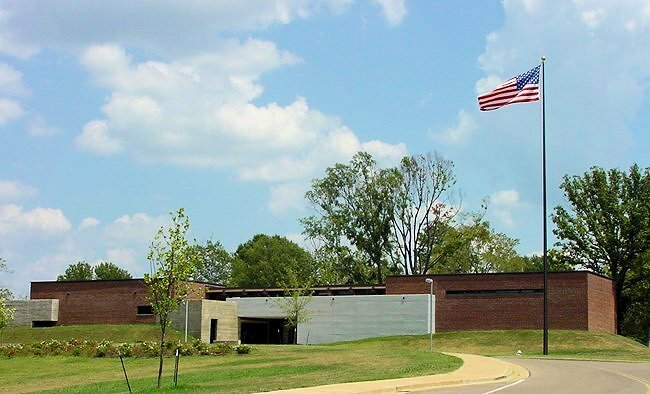 The Shiloh Visitor Center is an important stop on your tour of Shiloh. 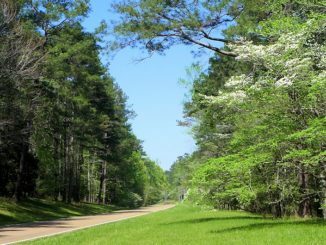 Travelers on the historic Natchez Trace Parkway should consider taking a 45 mile detour to visit Shiloh, a large, well preserved National Historic park and the most significant Civil War site in the Mississippi River valley. 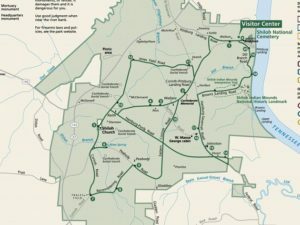 The historic two day Civil War battle at Shiloh is closely tied to the town of Corinth, 22 miles south of the Shiloh Battlefield. General US Grant had encamped at Pittsburg Landing along the Tennessee River and was awaiting arrival of General Buell and the Army of Ohio to then advance on Corinth. Corinth was at the strategic rail cross roads between east-west and north-south rail lines. So Shiloh itself was not the object; it was Corinth. Capturing it from the Confederates would substantially impair their movement of troops and supplies. Confederate General Albert Johnston, commander of the Corinth region, recognized this threat and was aware of the Union Army advancing on them from the north. Rather than meet the Union forces at Corinth, he decided to seize the initiative and move his 44,000 men to attack Grant at his encampment at Pittsburg Landing and near the Shiloh Church. The battle of Shiloh began at dawn on April 6th, 1862 when a Union patrol discovered the Confederates advancing through the forest and fields near a small log church named the Shiloh Meeting House. In two days of bloody fighting (Grant’s 40,000 man army vs Johnston’s 44,000) Grant with the help of Buell’s army arriving on the second day repealed the Confederate attack. Johnston perished during the battle and was replaced by General PGT Beauregard who to save his Army was forced to retreat Corinth. In the bloody two battle, 23,746 lives were lost. Sunken Road separating the thicket where Wallace’s line confronted Johnston’s advancing Confederate troops. Later in April, a Union force of 100,000 troops advanced from Pittsburg Landing with the goal of capturing Corinth. Their arrival within cannon range of the Confederate encampment at Corinth and the overwhelming size of the Union forces forced Beauregard to withdraw his forces south to Tupelo, Mississippi. So Union troops occupied Corinth and the strategic railway crossroads. But that wasn’t the end of things. In October, Confederate General Earl Van Dorn launched a surprise attack on the Union Garrison in Corinth but after 3 days of fighting was forced to retreat. 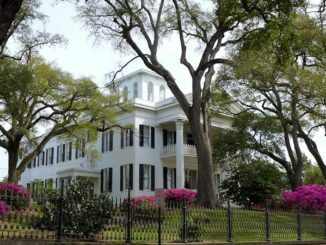 The three day battle of Corinth cost another 6,500 lives and marked the last Confederate Civil War offensive in Mississippi. The Corinth Interpretative Center is worth a visit before touring the Shiloh Battlefield Park. It has an excellent film telling the story of Corinth and how it connects to the epic battle at Shiloh. There’s also several educational exhibits on the Civil War and some interesting artifacts. Theh center is built on the former cite of Battery Robinett. The center is conveniently located on the west side of town, with an ample parking lot, and handicap accessibility. There are a few other Civil War sites of interest in the Corinth area including the Corinth Contraband Camp. Now a park, a portion of the old camp has been set aside with a commemorative trail with bronze figures depicting the lives of residents of the camp. Navigating to visit Shiloh from the center is simple (just go north about ½ mile and turn right on Shiloh Road and follow the signs). Pittsburg Landing was the southern-most landing for river steamboats on the Tennessee River. The river afforded General Grant the opportunity to move large amount of men, supplies, and armament towards the military objective of Corinth. 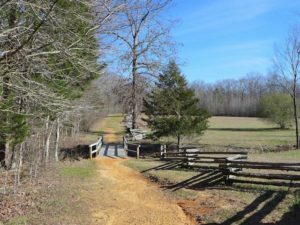 Above the landing was a high plateau of forest and farm land occupied by a scattering of small farmers who worshiped at a log cabin known as the Shiloh Meeting house. It was an ideal spot for Grant to encamp and use as a base of operations for the Corinth assault. Fortunately over 4200 acres of the original battlefield have been preserved as the Shiloh Military Park. The park has an extensive network of roads throughout the park joining several key battle sites, each with a commemorative monument (cannons and other military artifacts) and plaques describing the conflict that occurred at that point or the strategic importance of the site. 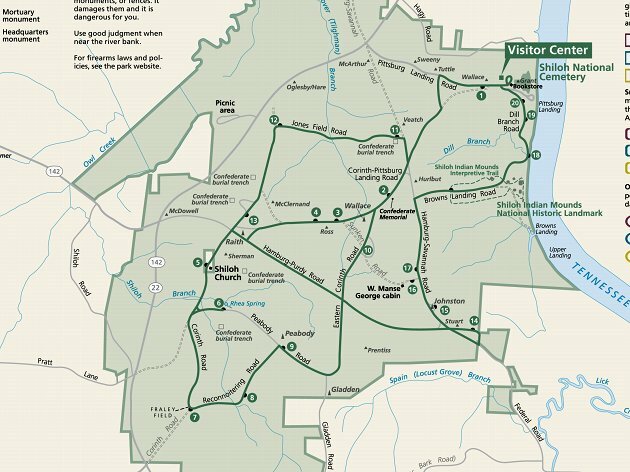 Visitors to the park should first stop at the Shiloh Visitor Center to pick up maps and guides to touring the park. 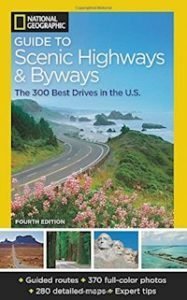 You can take a driving tour or hike trails within the park. 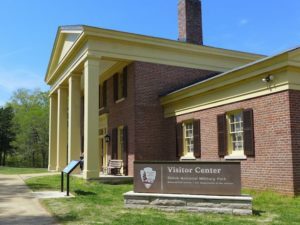 There are also interesting exhibits in the visitor center as well as a bookstore for more detailed accounts of the Shiloh and Corinth battles and other Civil War history. Another resource at the Visitor Center is the staff itself. They are more than just courteous hosts or park service agents; you’ll find them quite well-steeped in Shiloh history – a human interactive educational resource to complement the more high tech interactive exhibits! Shiloh was at the time the bloodiest battle of the Civil War and the ninth overall most costly battle. If you include the casualties at Corinth, which was part of the same campaign it would rank in the top five Civil War battle sites. 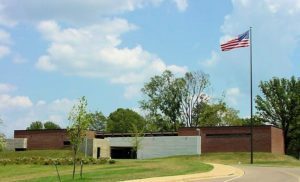 Visiting Shiloh Military Park is an impressive educational experience. 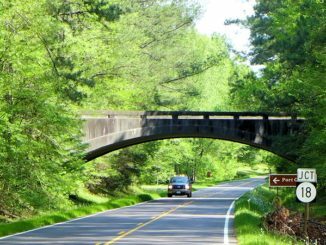 I look forward to a return visit to Shiloh and plan to do some advance reading of Shiloh history as a guide to my next visit.